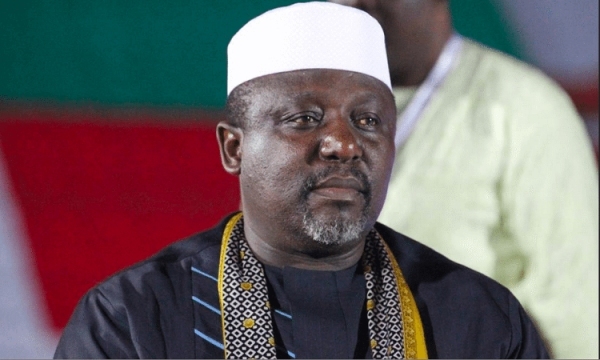 The residents and citizens of Imo State, have been advised by the Governor of the state, Rochas Okorocha, to collect their Permanent Voter Registration Cards so as to have right to vote in the forthcoming general elections. The Governor during a news briefing in Owerri on Thursday, faulted the low response of Imo residents to the collection of PVC. Okorocha revealed that Imo State has the least number of registered voters and number of PVCs collected when compared to other states in the federation. He stated that the failure to collect PVCs would result in low voting when the time come and also might lead to denial of key positions at the federal level. The governor went further to declare August 15 and August 16 as public holidays, so as to enable eligible voters in the sate to register and also collect their PVCs. He directed that markets be closed on those days to ensure full compliance and good results. He added that a peace and reconciliation committee had been set up to re-unite the party in the state, noting that all but six members of the coalition would be re-admitted into the party. While reacting to the defection from APC, he stated that the defectors left to further their political interest and not becuase of loss of faith in the party. He stated that President Muhammadu Buhari, remains the right candidate for now, and the party remain sound and united party. “The defections took place two years ago is just materialising now. We knew some of our members would leave and those who left are those who should have left.